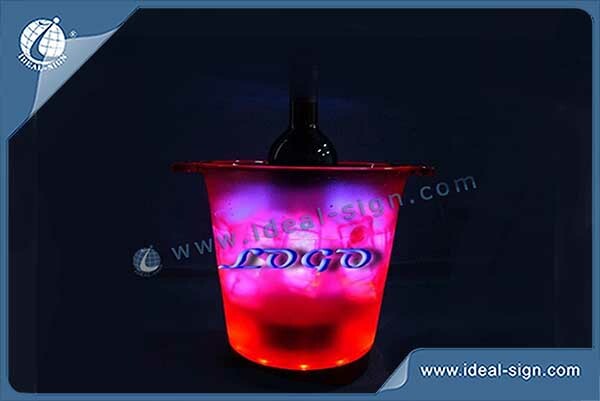 This is a round LED illuminated ice bucket made by plastic injection. With 2 handles for easy handling, and with the LEDs built at the bottom of the ice bucket. We make this style stackable so it has advantages in saving the sea cost!